As Freshers’ approaches, we’ve come up with the ultimate 10 things that you will need to know about student life in your first few weeks. Have a read through these and you’ll be all set up to have a great first semester! Halls life is actually quite good! You may have heard lots of horror stories about halls, from past students or friends who have experienced it, but actually, being in a halls of residence is not too bad. With cleaners, comfortable rooms, and very few fire alarms going off at midnight, halls do provide a secure sanctuary for you in first year. Private Rented is also a good option, often being a little cheaper, but you have to clean for yourself, and in most cases, cook too. Talk to everyone! This is probably the hardest thing to do, especially if you’re not the most extroverted person, but some of the people you talk to in the first few days will become friends for years. Whether it’s in lectures, societies (more on that later) or halls, just saying hello is often enough to strike up a friendship. Go out during Freshers’! It does not have to be wild nights exploring the local nightlife, but of course those are options, but exploring Southampton and Winchester with your new friends or going to some of the day time events, such as the Bunfight: Student Groups Fayre, will provide you with great opportunities to learn more, explore, and have fun! Join a student group or three! Student groups (our collective name for clubs and societies) are a great way of exploring new interests and meeting like-minded people, and each year we host the annual Bunfight: Student Groups Fayre (on Wednesday 28 September), where all of our societies are showcased. From radio to ballroom dancing and everything in between, we have over 300 societies so there will be something for you! Don’t spend all of the student loan in the first week… Believe it or not, you’ll have to wait months between getting your loans in, so don’t be tempted to splurge on something in your first week or two, work out how much you can afford to spend each week and stick to it! You will be homesick! The combination of new people, new routines, and a new lifestyle can all get to you, and there’s no shame in calling up your parents to tell them you miss them. Don’t forget that we have many ways to support you if you’re struggling with homesickness, check out our support services here. Freshers’ flu is real! OK, so it’s probably not real, but with all the new people you’re meeting and all the interactions you’ll have, it’s only to be expected that tiredness, emotions and germs will all get to you and you’ll want some paracetamol to hand when this comes around. Take advantage of freebies! Money will inevitably be tight as a student, so keep an eye out for any students deals that you can grab a hold of, and make sure you attend our Freshers Fayre, where lots of local and national companies show you how they can be of benefit to you. They also give enough free pens to keep you writing all year! Go to your first lectures! Wait, university, lectures?! Yeah, it’s not all going out and having fun, you do have to do a bit of studying too! Attending lectures are so important, even those horrific 9ams but ultimately, you’ve chosen to go to university, so make the most of the world class doctors and professors that are here to teach and guide you. Enjoy it! 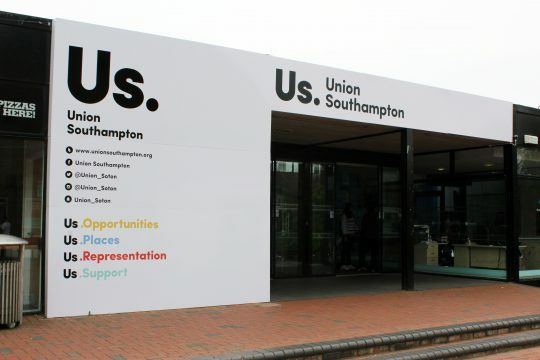 Yes you will have stress, deadlines, emotions and potential problems, but ultimately, half of university is having fun with your friends, so make sure you actually do that and have fun, share experiences and enjoy your time at the University of Southampton. So now you’re equipped with 10 vital facts, you’re all ready to begin your Southampton journey!